September means London Fashion Week (LFW) – and once again our make-up graduates are going to be working their magic on emerging talent. 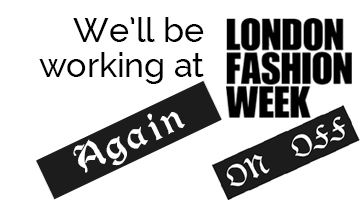 Students on our four and eight week IMA make-up courses will have the opportunity to experience the buzz backstage at LFW – and they’ll have some of our best LSM Pro Team artists there to help them make the most of it. 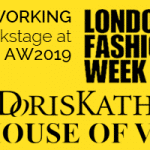 It will be the sixth season that our artists have worked London Fashion Week, and this time we’re renewing our sponsorship of ON|OFF, who showcase the best of new and established talent both ‘on’ and ‘off’ the official London Fashion Week schedule. ON|OFF has an international reputation having showcased at London, Milan and Paris Fashion Weeks. Our LSM Pro Team will also be working ON|OFF events, and three of our most exciting and talented Pro Team artists – Francesco lo Cascio, Kevin Fortune and Tonee Riberio – will be leading our artists and students as they create looks for up and coming designers. 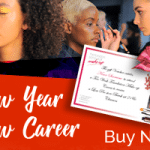 ON|OFF at London Fashion Week is just one of the exciting events worked by the LSM Pro Team – our team of top London School of Make-up graduates. Find out how you can join the team here.